The Brexit Day countdown is on, and yet, political tussles over whether the UK will keep its close financial services ties with the European Union show little signs of resolving. For large American banks using London as a major European hub, this means there are still multiple futures ahead, each carrying its own implications for talent supply and demand. JPMorgan, for example, will move between 500 and 1,000 jobs from Britain after the UK’s exit from the EU in March 2019, reported a January 2018 Reuters article. But according to the company’s CEO, if Brexit talks result in “a divergence of regulations and trade agreements” between Britain and the EU, that number would be closer to 4,000. While a 21-month transition period following the official exit from the EU on March 2019 has bought banks more time to prepare for whatever changes are in store, top US financial services players have started making moves just in case. Bloomberg reported Citigroup Inc. is making plans to have a new Frankfurt trading hub up and running by the end of 2018. Other news outlets have reported that Bank of America is moving 125 UK jobs to Ireland, and Goldman Sachs has started transferring senior staff to Frankfurt. The lesson here for workforce planners across all industries is this: when the future is unknown, contingency plan with the most dramatic scenario in mind, but book the more conservative plan in the interim until key developments become clear. Brexit is just one sign of the current topsy-turvy VUCA environment that businesses are operating in today. Typically, VUCA (short for Volatility, Uncertainty, Complexity, and Ambiguity) is associated with the drastic demographic and technological shifts that are making it increasingly difficult to predict future market trends and talent needs. But as recent developments (such as the uncertainty over the DACA program in the US) have shown, politics can also contribute to a VUCA world. As future business environments become increasingly unpredictable, so too do an organization’s talent needs. But when long-term talent needs cannot be predicted, it is still possible to plan strategically. Approached proactively, agile workforce planning in a VUCA world can help HR anticipate potential issues and opportunities early and often. 1. Explore multiple futures — Scenario planning enables HR leaders to rapidly execute a talent plan when new developments suddenly crop up. While this kind of activity is often driven by broader business contingency planning, it is important to note that HR does not necessarily need to wait for an operational plan before mapping out various talent scenarios. To make this process easier, HR leaders can look for technology and tools that enable them to create and compare different workforce planning scenarios (each with different workforce movement and cost assumptions) so that not only can they choose the best option for your organization, they can have contingency plans in place. In this way, scenario planning is a key component of agility. 2. Plan continuously — Typically, the workforce planning cadence is driven by finance, with budgets firmly set for the year. But when a business faces unprecedented levels of change — such as a digital-driven competitor emerging partway through the year — there may be a need to correct course in a much shorter time frame. One large financial services company, for example, uses a monthly planning process to capture workforce demand for the different groups within the organization. The planning process involves over 100 VPs, directors, and managers, but other stakeholders are pulled in as necessary: If hiring isn’t progressing as fast as required, they talk to recruiting; if the plan is over budget, they discuss it with finance. This continuous, collaborative planning approach enables HR to react more appropriately to changing business requirements. 3. Focus on costs — At our recent Outsmart 2018 event, a conference for data-driven leaders, one theme that emerged is the importance of understanding the organization’s Total Cost of Workforce (TCOW). This is the full cost for people who contribute work to the organization, including all of the labor costs and the workforce overhead costs, and all the costs that roll up into those two categories. During a panel discussion, one HR leader from a travel technology company emphasized the importance of using this information when considering areas such as centralization and how to control costs. This lets HR take a very targeted approach when dealing with high-priority business problems. When there are multiple options to explore, HR leaders who can shed light on the cost implications for talent are in high demand. Continuous, cost-driven planning — when combined with a consideration of several dramatic and status quo possibilities — enables HR leaders to stay ahead of the curve. This kind of approach enables businesses to hire based on genuine need, and respond more quickly to market shifts, while forecasting more accurately. When addressed head-on, uncertain futures provide HR leaders with an opportunity to shape the business alongside their functional peers. 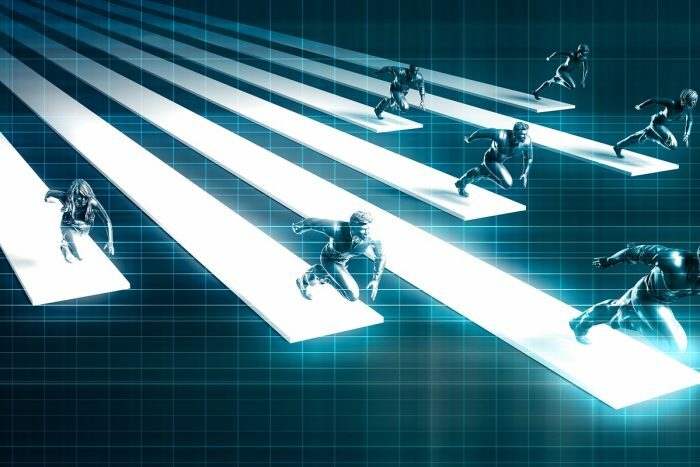 For strategic HR leaders, this focus on agile workforce planning can yield many positive returns.